Want tosave 1,20 kn on this order and become Loyalty program member? 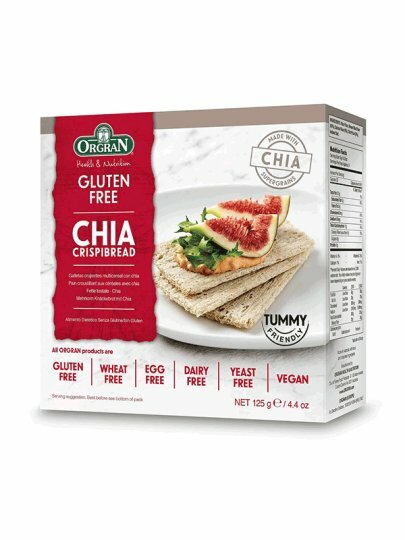 Crunchy toasted bread with chia seeds has excellent taste. You can use them as a basis for various vegetables, meats or sweet prawns, or even as an independent meal. Rice flour, brown rice flour (43%), quinine flour (6%), flour Chie (3%), iodized salt. No allergens:No gluten, no wheat, no eggs, no dairy, no yeast, no soy, no nuts.